KABUL, Afghanistan — If ever there was a Taliban bureaucrat who seemed set on a less than stellar career path, it was Mullah Akhtar Muhammad Mansour. In the 1990s, he was the Taliban government’s chief of aviation while Afghanistan had few planes in the air. He also oversaw the tourism department for what was one of the world’s most sealed-off countries at the time. In short, there was little hint back then that he would someday emerge as the Taliban’s supreme commander, and the successor to the group’s legendary founder, Mullah Muhammad Omar. But in the years since the Taliban leadership was driven into exile in Pakistan in 2001, Mullah Mansour became central to the group’s reincarnation as a powerful insurgency that survived NATO offensives to pose a grave threat now to the Western-backed Afghan government. Details of his rise, filled in through interviews with current and former Taliban commanders, Western and Afghan officials, paint a portrait of an insurgent leader with a distinct flair for intrigue. As acting leader of the Taliban over the past few years, he closely kept the secret that Mullah Omar had been dead since 2013. And he wielded that edge powerfully, issuing orders in Mullah Omar’s name, moving against rival Taliban commanders and steadily consolidating power, according to Afghan and Taliban officials. He has also benefited from a powerful alliance with the Pakistani military spy agency, Inter-Services Intelligence, the original sponsor of the Afghan Taliban insurgency. That relationship, along with a hefty dose of cash payouts to fellow commanders, was a crucial factor in his ability to manage the succession crisis this summer after news of Mullah Omar’s death finally got out, Taliban and Afghan officials said. Pakistan’s role in Mullah Mansour’s rise and rule has offered a bit of hope to Afghan and Western officials that Pakistani officials might be persuaded to force the Taliban to accept a peace deal. But it has also sometimes been a political liability for Mullah Mansour, embittering some Taliban figures who resent Pakistan’s influence on the leadership and who are not likely to forgive his deception about Mullah Omar’s death. Some alienated commanders have sought a new direction with the Islamic State offshoot that is growing in Afghanistan and Pakistan. Mullah Mansour’s biggest mystery to Western and Afghan officials is wrapped up in the question of how he will try to shape Afghanistan’s future now that he has consolidated power: Will he attempt to return the Taliban to power as conquerors, or will he try to turn military victories into a strong hand in peace talks? Mullah Mansour, a stout man believed to be just under 50, does not, unlike his famously reclusive predecessor, live in hiding. His circumstances are not those of a jihadist leader living a fugitive existence, fearing drone strokes and avoiding cellphones in case they are tracked — in fact, one person who knows him says the Taliban leader owns a cellphone company. Some of the time, he lives in a southern neighborhood of Quetta, Pakistan, known as Satellite Town, in an enclave where he and some other Taliban leaders from the same Pashtun tribe, the Ishaqzai, have built homes, according to interviews with a range of people who know him, including high-ranking Taliban leaders. As with many of the people interviewed about Mullah Mansour, they spoke on the condition of anonymity to avoid offending or prompting revenge. But Quetta is not his only option. Although he is on the United Nations no-fly list, Mullah Mansour has repeatedly taken flights in and out of Pakistan, according to a senior Afghan intelligence official. Often, his destination has been Dubai, in the United Arab Emirates, where he has a house and several investments under different names, the official said. 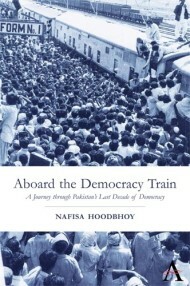 That freedom alone would support widespread claims that he enjoys special status from the Pakistani authorities. Also telling is the large detachment of plainclothes security officers in his part of Satellite Town that notably grew around the time he was announced as the Taliban’s leader, neighborhood residents say. Although he has benefited from his Pakistani contacts, they come with strings. Intelligence officials say that Mullah Mansour is wealthy by any standard, partly because of his ties to Ishaqzai narcotics traffickers. But some of that wealth has occasionally been frozen by Pakistani officials, the Afghan intelligence official said. One such time came this year when Pakistan was seeking to broker a round of talks between the Taliban leadership and the Afghan government and wanted Mullah Mansour to go along with it, the official said. Such details present, for the Taliban, an uncomfortable contrast to the austere lives their leaders supposedly lived when they governed the country. A biography of Mullah Mansour recently issued by the Taliban seemed intent on rebutting that impression. Mullah Mansour is one of the last senior members of Mullah Omar’s original government still with the insurgency. Of those still alive, some have reconciled with the Afghan government and now live in Kabul. To them, it is surprising that Mullah Mansour is what he is today. Mullah Salaam Alizai, who was close to Mullah Omar during the Taliban government in the 1990s and later spent years as an insurgent commander, described Mullah Mansour as unpredictable and an opportunist. “The kind of person who doesn’t have his own ideology, the kind of person who doesn’t care about how much destruction occurs,” he said in a phone interview. “If he is told to destroy one road, he will destroy 10, if he is told to kill one person, he will kill 100,” added Mullah Alizai, who reconciled with the government about eight years ago. Maulawi Qalamuddin, who ran the Ministry for the Propagation of Virtue and the Suppression of Vice in the Taliban government, remembered Mullah Mansour as a hard-working administrator. Those seeking evidence that Mullah Mansour’s priority is to wage war rather than pursue peace talks will have no difficulty finding it. He was one of the early organizers of the insurgency after the United States toppled the Taliban government in 2001, becoming a major battlefield commander. Leaked United States military intelligence logs present a snapshot of him sowing violence across southern Afghanistan in 2006 and 2007. They show that he attended strategy sessions where suicide bombings were planned, back when that was still a relatively new tactic for the Taliban. If the boundaries between the Taliban and opium and heroin traffickers in Afghanistan are now blurred, that is in no small part because of Mullah Mansour. He was among the first major Taliban officials to be linked to the drug trade, according to a 2008 United Nations report, and later became the Taliban’s main tax collector for the narcotics trade — creating immense profits for the Taliban as opium and heroin exports soared. The Taliban biography of Mullah Mansour on its English website relishes in tracing how the ferocity of the Taliban’s war against American and coalition forces seems to track each of Mullah Mansour’s promotions up the group’s ranks. Despite his rising profile within the Taliban, he remained something of an unknown to his enemies. Of that there is no better measure than a bizarre episode in 2010, when an impostor claiming to be Mullah Mansour sought to engage in secret peace talks. The Afghan government and the American-led military coalition were hopeful, especially when they heard the man’s modest demands for an end to the war: amnesty for Taliban leaders and jobs for Taliban soldiers. The military showered the man with money, flew him to Kabul for meetings, and struggled to keep expectations in check. Then he simply disappeared, and both Kabul and Washington concluded they had been duped. And the real Mullah Mansour’s star continued to rise. In 2010, Pakistani officials arrested Mullah Abdul Ghani Baradar, Mullah Omar’s top deputy. Afghan and Western officials later said he was detained because he had been negotiating with Afghan officials without Pakistan’s involvement. Two commanders rose to more prominence in the wake of Mullah Baradar’s arrest: One was Mullah Mansour, the other was Mullah Abdul Qayyum Zakir, a young former detainee at the American prison camp at Guantánamo Bay, Cuba, who had a reputation as a tough commander in southern Afghanistan. For a while, the two coexisted uncomfortably as co-deputies. 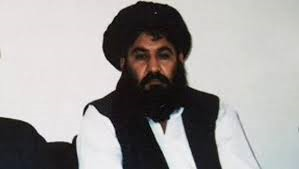 But Mullah Mansour clearly gained the upper hand, becoming the acting leader of the Taliban, said Rahmatullah Nabil, the head of the Afghan intelligence agency, in an interview last year. Afghan and Western officials said he had become the sole supposed conduit to Mullah Omar, in whose name annual announcements were made, but whom even senior Taliban commanders had not seen in years — to their growing anger and skepticism. But Mullah Mansour was confident enough to begin placing his loyalists in important spots, and to move against those who doubted him. In spring last year, Mullah Mansour served notice to Mullah Zakir that he was being fired because Mullah Omar was dissatisfied with the commander’s military strategy. But Mullah Zakir called his bluff, demanding proof that Mullah Omar was both alive and did in fact want him gone, three Afghan and Western officials said. Mullah Mansour showed a letter attributed to Mullah Omar, but could not produce compelling evidence. The gamble had failed, and the issue festered, giving wider circulation to rumors that Mullah Omar was dead and Mullah Mansour was deceiving his comrades. Those rumors dogged Mullah Mansour through the first half of the year, when Pakistan began pushing the Taliban leadership to officially meet for the first time an Afghan government delegation, as a prelude to peace talks. Until that meeting, in early July near Islamabad, the Taliban had long refused to meet with the Afghan government. But diplomats in attendance at the Pakistani-brokered talks were told that Mullah Mansour himself had authorized the meeting, one of the Afghan delegates, Hekmat Karzai, later said. The senior Afghan official said that Mullah Mansour had, in fact, acquiesced to sending a delegation to the meeting, under heavy pressure from Pakistani officials. But as the talks were being prepared, he suddenly shifted tack, instructing several possible Taliban emissaries that they should refuse to attend. Then Mullah Mansour disappeared for a while. “Mansour’s phones were turned off, he went missing,” one senior Afghan official said. Why Mullah Mansour tried to sink the talks is unclear, but the Afghan intelligence official and a Western diplomat who had read intelligence reports on the issue said Mullah Mansour was probably worried he would lose the loyalty of Taliban commanders. “It is not that Mansour is not obedient to Pakistan — it’s just that he is afraid of the movement falling apart,” the senior Afghan official said. Pakistan was left scrambling to find Taliban figures who were willing to participate, leading to a smaller and less impressive delegation than the Afghan government had hoped for at the July 7 meetings. Still, the talks were hailed as the historic beginning of a long-sought peace process. But Mullah Mansour’s apparent concerns were coming true. Within the Taliban, the talks — and Mullah Mansour’s perceived acquiescence to them — had cleaved the senior ranks. Senior Taliban figures began discussing the need for guidance from Mullah Omar, which in turn provoked renewed questions about whether he was even alive, two Afghan officials and a Western envoy said. In July, word that Mullah Omar had long been dead suddenly began to circulate among commanders, according to Afghan officials. Precisely how the news broke was unclear, but one theory is that with peace talks looming, Mullah Omar’s son, Mullah Muhammad Yaqoub, began to confide to other senior Taliban leaders, according to an Afghan and a Western official. On July 29, the Afghan government made it public, proclaiming that Mullah Omar had in fact died two years earlier in a hospital in Karachi, Pakistan. Mullah Mansour immediately tried to get ahead of a potential succession struggle. In a few days of masterful constituency building — with the help of cash payouts and Pakistani influence, according to Afghan and Western officials — he secured the loyalty of possible rivals. In a series of shuras — consultative councils that his detractors claimed had been packed with his friends and tribesmen — he manufactured consent. But others rallied behind Mullah Omar’s son, Mullah Yaqoub. Those supporters included Mullah Zakir and, reportedly, the leadership of the Haqqani network, an influential wing of the Taliban known for its brutal terrorist tactics and fund-raising mastery, according to members of the Taliban leadership council. Then, Mullah Mansour let the world know that he had cut the heart out of his opposition. The Taliban announced on July 31 that not only had Mullah Mansour been officially declared the new supreme leader, but that both of his deputies had also been chosen from the Haqqani network’s leadership, some of Mullah Yaqoub’s supposed backers. Two weeks later, the Taliban released a statement that Mullah Yaqoub and his family members had agreed to pledge their loyalty to Mullah Mansour’s leadership. Mullah Zakir, however, would not go easily. Officials with the National Directorate of Security, the Afghan intelligence service, said they had intercepted a message in which Mullah Mansour offered more than $14 million to Mullah Zakir through an intermediary in Helmand Province. The senior Afghan intelligence official claimed that after a payoff was made, of an unknown sum, Mullah Zakir demanded that he lead the Taliban military commission and that Mullah Mansour pledge not to engage in peace talks. However, those claims could not be confirmed in interviews with Taliban officials. In any case, after he was anointed as Mullah Omar’s successor, Mullah Mansour had some consolidating to do. He disowned the July 7 peace meeting with the Afghan government, telling his supporters that they should dismiss talk of a peace process as propaganda — “the words of the enemies,” according to a recording the Taliban released. Yet even then his speech was met with some degree of hope in Kabul, where diplomats noted that he had not explicitly ruled out future negotiations with the Afghan government. “The doors of indirect meetings with the enemy in regards to independence of Afghanistan and the end of occupation were and still are open,” the Taliban said in another statement on their website. The deftness with which Mullah Mansour emerged as the new leader speaks to his political talents. But some Taliban leaders see it more as evidence of Pakistan’s support. One of the insurgency’s most senior officials, Tayyeb Agha, resigned in August, saying he was dismayed that Mullah Mansour’s selection occurred outside Afghanistan. Within the insurgency, an aversion to peace talks and Mullah Mansour’s close ties with Pakistan remain potent issues for those who have not yet accepted his leadership. But in recent days, Mullah Mansour has swept aside attention from internal tensions by presiding over the Taliban’s most consequential military victory since their government was ousted in 2001. After two years of steady infiltration into the north, and a patient encirclement campaign in Kunduz Province, Taliban fighters planted the white Taliban flag in the heart of Kunduz on Sept. 28. The changes on the Afghan battlefield have for now made peace talks almost an afterthought. Afghan and Western officials hope that will not always be the case. But even those who have examined Mullah Mansour’s statements and career closely for clues are hard pressed to say what his long-term intentions might be. Mujib Mashal, Ahmad Shakib and an employee of The New York Times contributed reporting. Alain Delaquérière contributed research.